Chinese New Year is just around the corner, and as is tradition, it’s time to find a brand new outfit to sport on the first day of the lunar calendar. Yes, everything from head-to-toe needs to be brand new, as it’s believed to symbolise a fresh start and new hopes, therefore setting the tone for the year ahead. Red, which means happiness, passion and luck, is also a preferred colour choice, and is believed to scare away the spirits of bad fortune. For those who are unprepared, there’s still time for a shopping spree, and some of our favourite fashion brands are joining in the celebration with special CNY capsule collections to help you reset this year. We’ve rounded up a list of our favourites for you below. 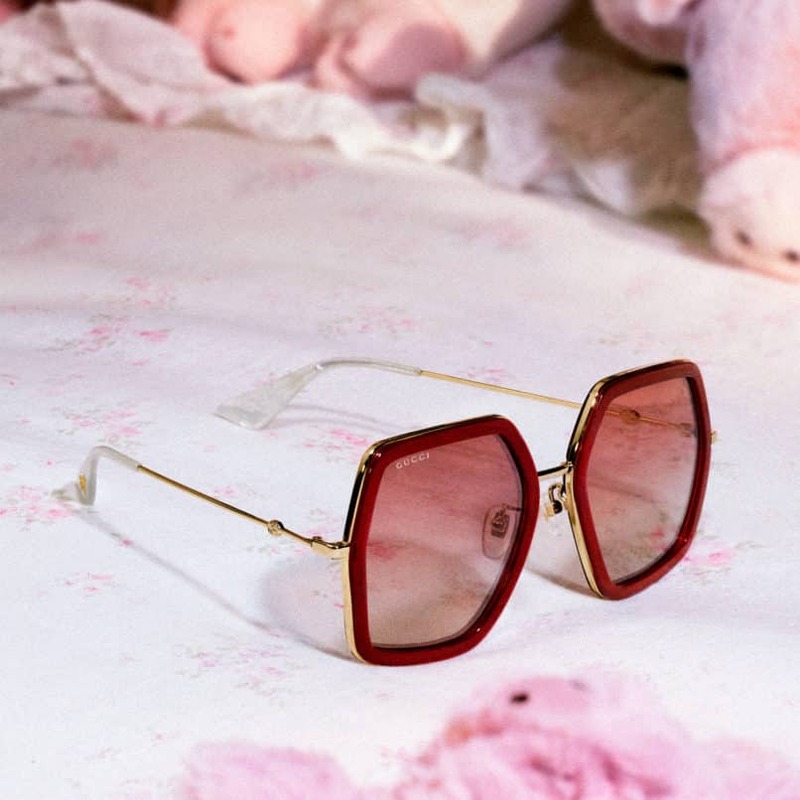 Part of its Chinese New Year collection, Gucci draws inspiration from the traditional festival with a twist on its hexagonal-shaped sunglasses in a lucky red hue, complete with electric pink gradient lenses for a unique twist. Each pair comes with an elegant packaging, which includes a luxurious soft velvet case and a satin pouch. The pig is the symbol of wealth and fortune, and for that reason, Tod’s has especially created a tiny leather charm in the shape of a pig with wings, so you can attach it to your bags or phones to attract all the good fortunes your way. Pair one with this mini Gommino Bag in a matching powdered pink hue (also part of the CNY edition pieces) for a fun and stylish flair. Want to browse further? Check out the rest of the Lunar New Year collection here. 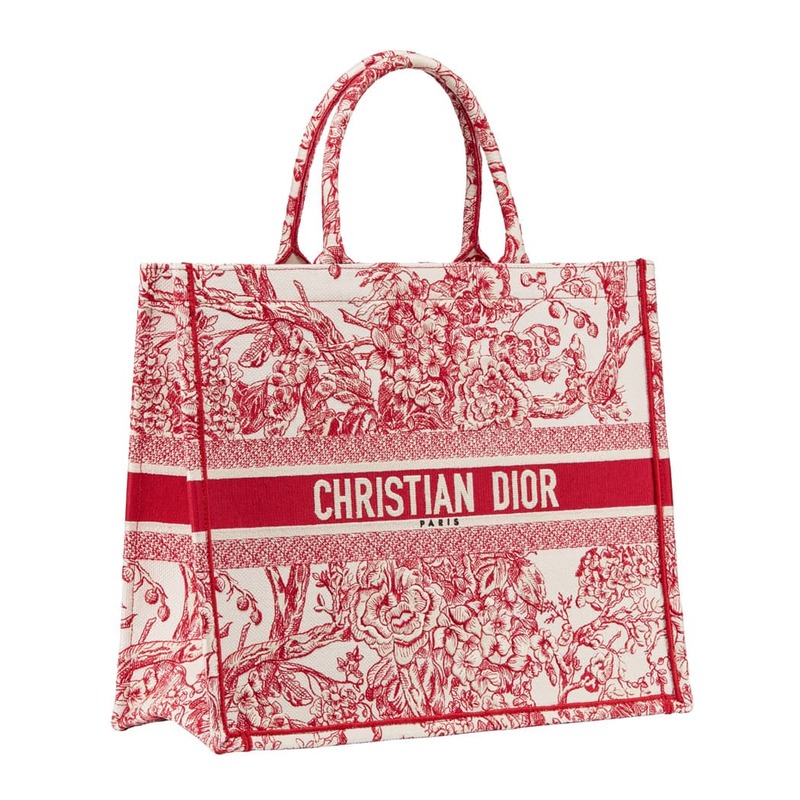 Marking the start of the Chinese New Year, Dior’s creative director Maria Grazia Chiuri has reinterpreted the house’s iconic toile de Jouy — a fabric used to decorate the house’s “Crolifichets” boutique in Paris since 1947 — by adorning it with hydrangeas blooming in red, a colour which Monsieur Dior regarded as ‘the colour of life’. 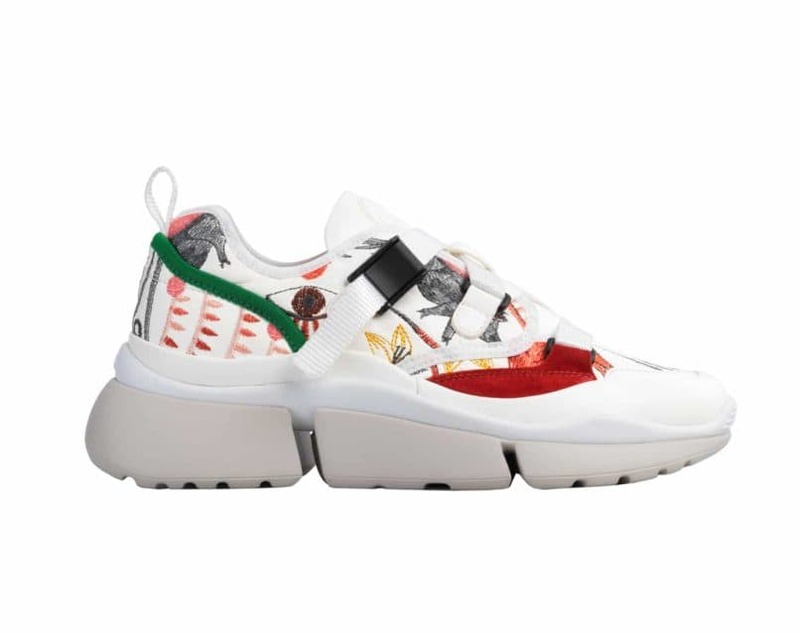 Chloé has debuted an exclusive capsule collection to celebrate the Year of the Pig, and that includes these sneakers adorned with exclusive motifs created by local artist Rithika Merchant. Brimming with optimism and effortless charm, these enchanting designs outline an abstracted pig face, expressing both warmth and femininity through colourful, symmetric shapes. In celebration of the Chinese New Year, Kenzo has launched an ultra-exclusive capsule collection for both men and women. The collection feature pieces in bright, red hues along with the brand’s signature motifs such as the tiger and eye on sweaters, t-shirts and hoodies. 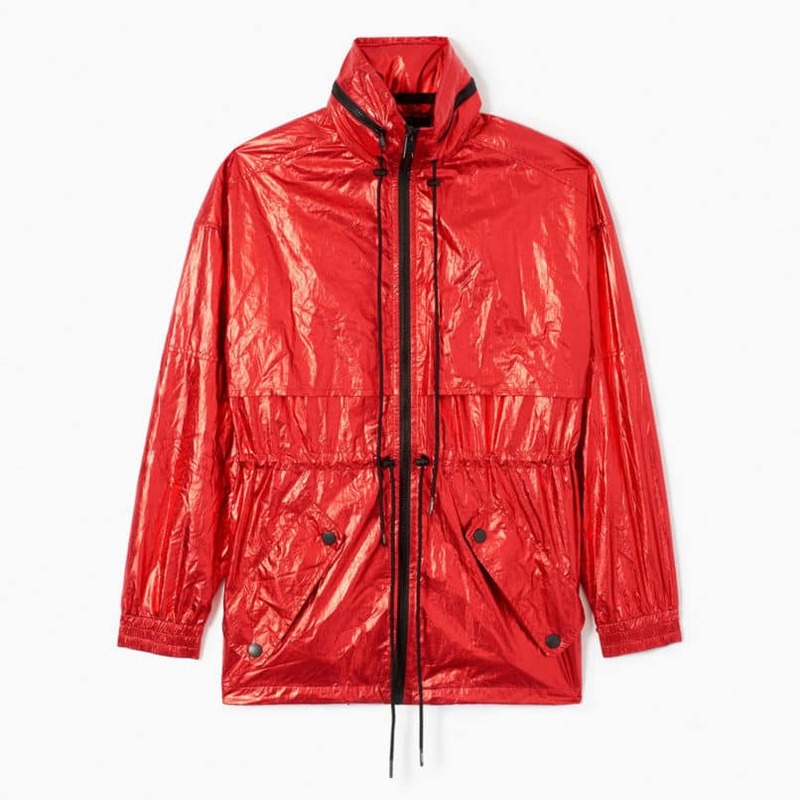 Highlights include a series of metallic red nylon windstoppers, which will undoubtedly add a touch of streetwear aesthetics to your new year look. 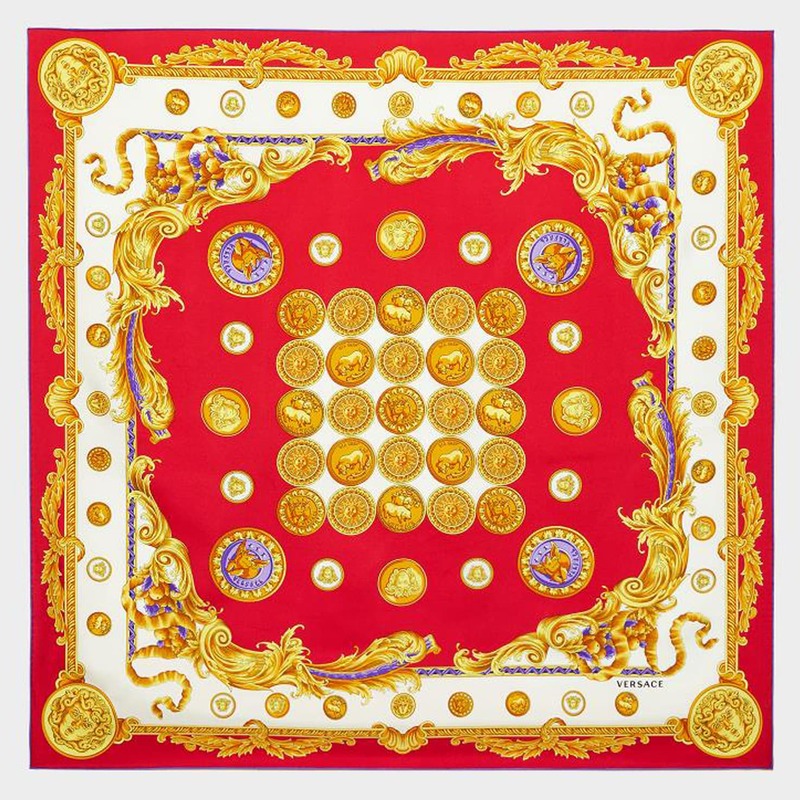 Versace is celebrating the Lunar New Year with a special limited edition collection comprising women’s and men’s ready-to-wear and accessories, all featuring a hand drawn print inspired by the protagonist of 2019, enriched with classic Versace details — the Barocco, Medusa and coins — in a gold tone depicting the start of the Year of the Pig. To celebrate the Year of the Pig and to honour its emblematic Le Brillant bag, Delvaux has created an exclusive Chinese New Year collection comprising a Brillant MM Box Calf Pocket handbag with removable Lipstick red pochette, a Brillant Portefeuille Box Calf Pocket wallet and two accessories — a soft lambskin ribbon and a lantern-shaped playful foldable leather pom-pom — designed to embellish any Delvaux handbag. 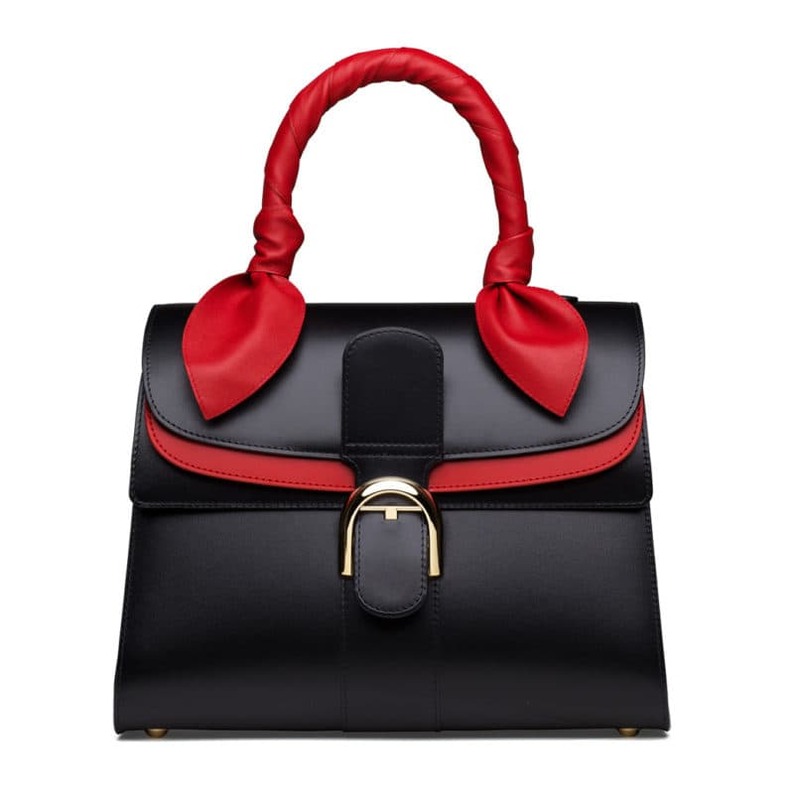 HK$63,000 (Brillant MM S Box Calf Pocket noir-lipstick doré) and HK$3,400 (lambskin ribbon) from Delvaux. Roberto Cavalli has also launched a capsule collection for the Lunar New Year, which includes bright colours and unique pattern designs for both men and women. 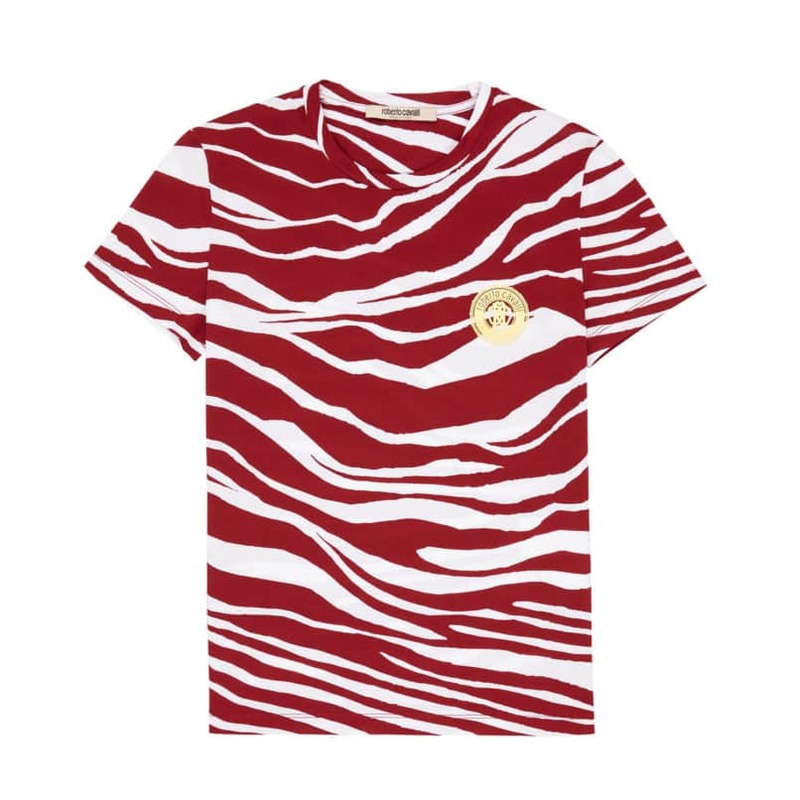 This t-shirt features the brand’s iconic zebra pattern, which has been reworked by new creative director Paul Surridge and now reinterpreted in white and carmine red markings, topped with a logo branded in shimmering gold. Longchamp has renewed its collaboration with China’s most influential fashion blogger Tao Liang — a.k.a. Mr. Bags — t0 create a series of bags for Chinese New Year. This time, he reimagined the brand’s Le Pliage Cuir top handle bag in pink, which he then used as a backdrop for bold lines suggesting a curly tail, a pair of pointed ears and two eyes. If you check carefully, you’ll also find a tiny illustration of a fart underneath the flap of the bag for added humour. As we step into the brand new lunar year, Monica Vinader took inspiration from the lucky talisman of 2019, and came up with a new pendant charm, Bessie the piglet, in the hopes of bringing prosperity and happiness to all who wear her. Simple yet memorable, Bessie’s soft, domed profile will offer any look a playful, but subtle touch. We recommend you to wear it with the brand’s Alta Capture Charm bracelet for an extra boast of personality and style. HK$950 (Chinese Zodiac Bessie the Pig pendant charm) and HK$3,250 (Alta Capture Charm bracelet) from Monica Vinader. 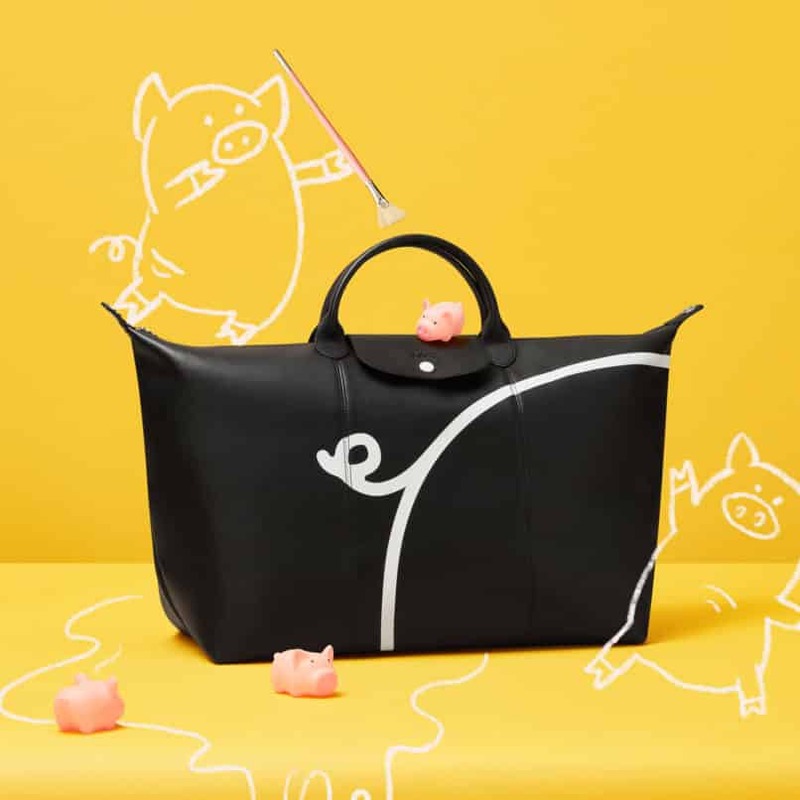 Strathberry has teamed up with award-winning British illustrator and children’s book author, Catherine Rayner, to create a fun and dainty capsule collection inspired by the Year of the Pig. This East/West Stylist bag is adorned with illustrations of Rosa and Scarlet, which are two curious piglets with a fascination for tiny creatures. When you open the bag, you’ll find a sea of delicate red butterflies adorning the inside of the flap, giving a whimsical and elegant vibe.